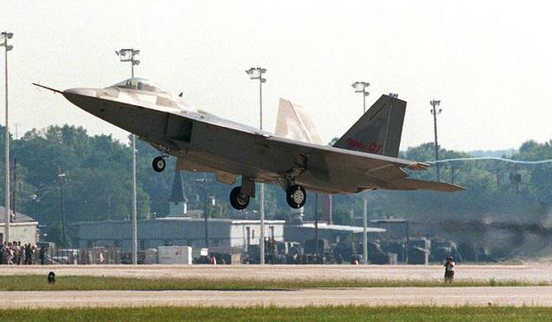 7 September 1997: At 10:18 a.m., Lockheed Martin Aeronautics Company Chief Test Pilot Alfred P. (“Paul”) Metz took off from Dobbins Air Reserve Base, Marietta, Georgia, flying the first F-22A Block 1 Engineering and Manufacturing Development Prototype, c/n 4001, call sign, “Raptor 01.” The new air superiority “stealth” fighter flew for just under one hour, reaching an altitude of 20,000 feet (6,096 meters). 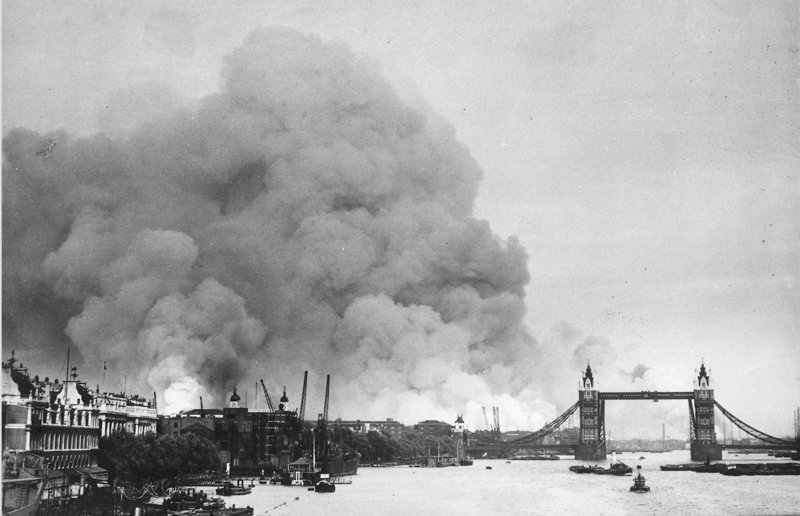 Metz was accompanied by two F-16 chase planes. Previously employed by Northrop Corporation, in 1990, Paul Metz had also made the first flight of the Raptor’s rival, the YF-23A Advanced Tactical Fighter prototype. Alfred Paul Metz was born 21 June 1946 at Springfield, Ohio. In 1968, he graduated form Ohio State University, Columbus, Ohio, with a bachelor’s degree in aeronautical engineering. 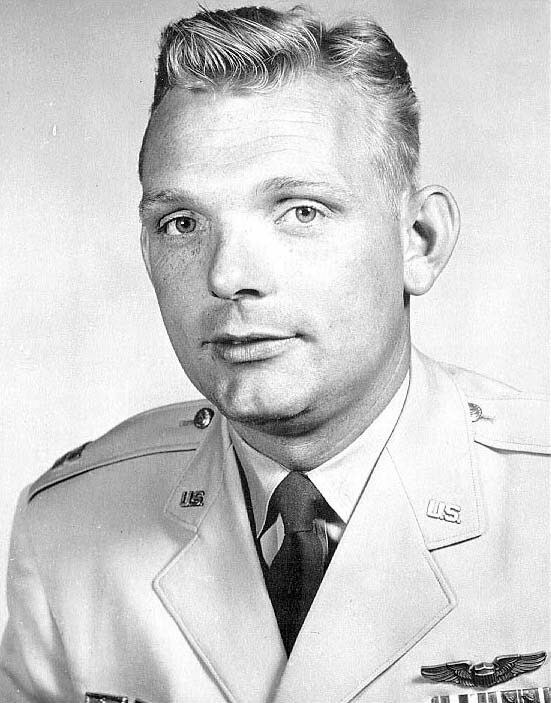 Metz entered the U.S. Air Force in 1968. He flew 68 combat missions during the Vietnam War as a pilot of the Republic F-105G Thunderchief (“Wild Weasel”), assigned to the 17th Wild Weasel Squadron, 388th Tactical Fighter Wing, based at Korat Royal Thai Air Force Base, Thailand. 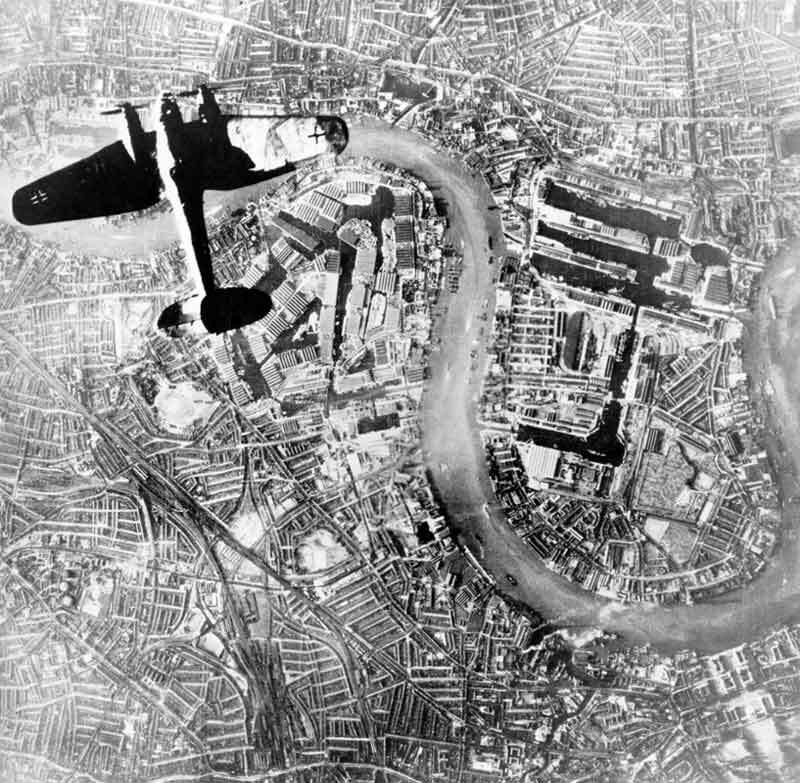 He was twice awarded the Distinguished Flying Cross. 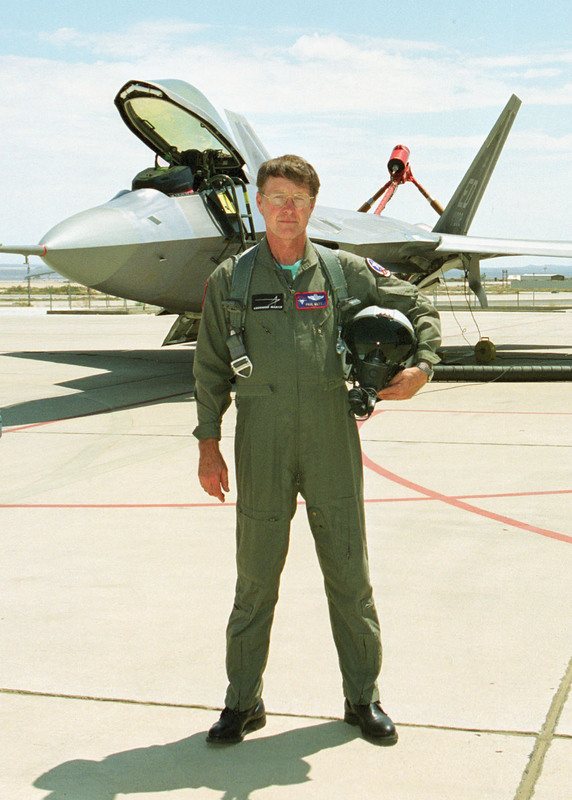 Metz graduated from the Air Force Test Pilot School at Edwards Air Force Base, California, in 1976, and remained at Edwards for the next two years. 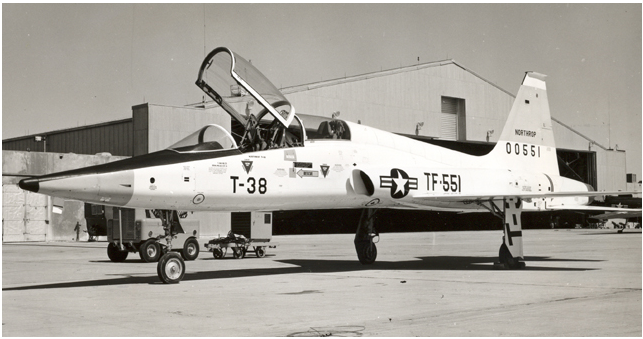 He was then assigned as an instructor at the U.S. Navy Test Pilot School at NATC Patuxent River, Maryland, in 1978. 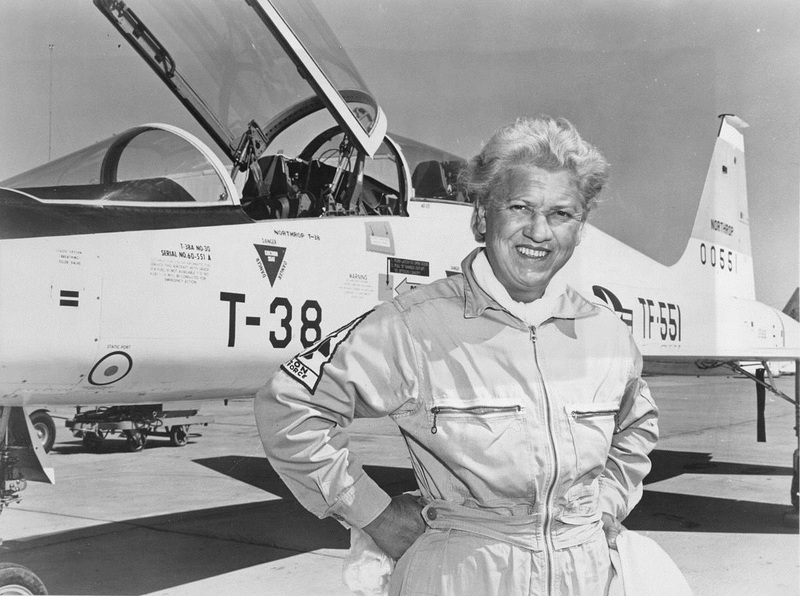 Metz left the Air Force in 1980 and joined Northrop Aircraft as an engineering test pilot. He became Northrop’s chief test pilot in 1985. After flying as an engineering test pilot for the B-2 stealth bomber, Paul Metz joined Lockheed Martin’s F-22 program in 1992. Paul Metz continued testing the F-22A for four years before joining the F-35 Joint Strike Fighter program. 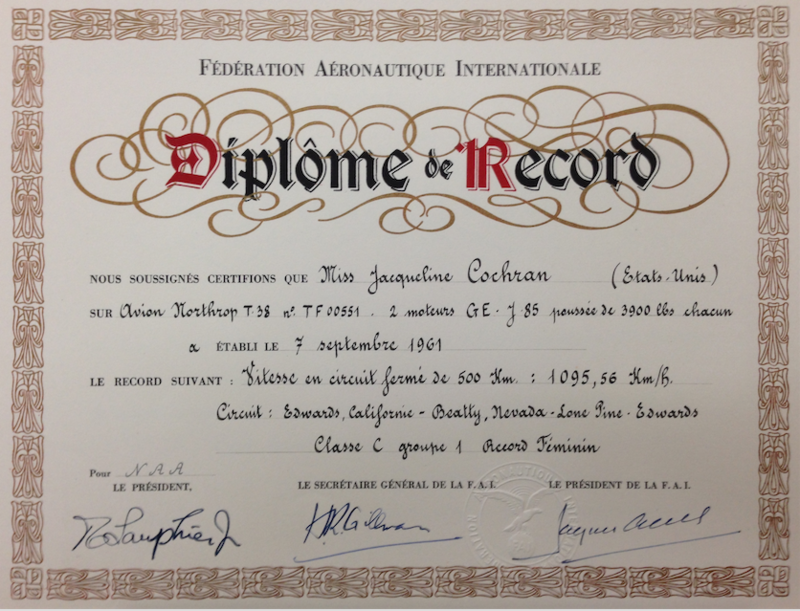 He was next appointed Vice President for Flight Test. Metz retired in 2006. The Lockheed Martin F-22A Raptor is a single-seat, twin-engine fighter designed with stealth technology. It is 62 feet, 1 inch (18.923 meters) long with a wingspan of 44 feet, 6 inches (13.564 meters) and height of 16 feet, 8 inches (5.080 meters). The fighter has an empty weight of 43,340 pounds (19,659 kilograms) and a maximum takeoff weight of 83,500 pounds (37,875 kilograms). 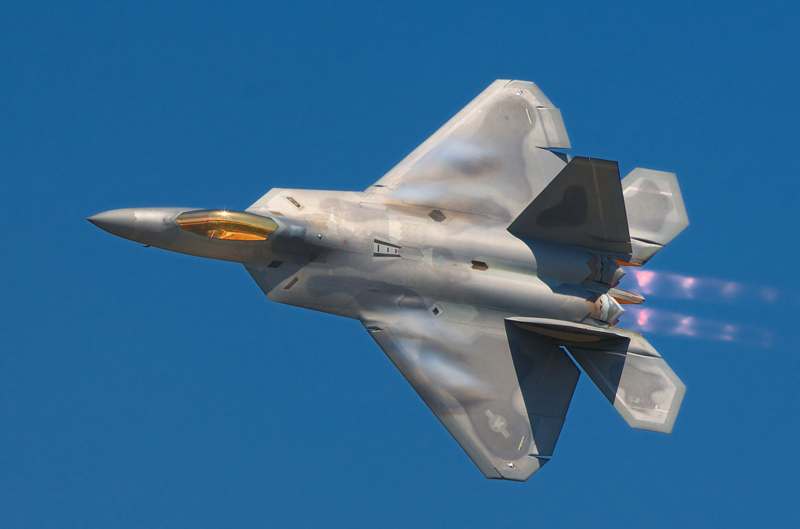 The F-22 is powered by two Pratt & Whitney F119-PW-100 afterburning turbofan engines which incorporate thrust vectoring exhaust nozzles to enhance the fighter’s maneuverability. The F-22A can cruise at Mach 1.82 and has a maximum speed of Mach 2.25. Its service ceiling is greater than 65,000 feet (19,812 meters) and the combat radius is 470 miles (756 kilometers). The fighter is armed with a 20 mm M61A2 Vulcan 6-barrel cannon with 480 rounds of ammunition, and can carry AIM-9 Sidewinder and AIM-120 AMRAAM air-to-air missiles. The F-22 can also be configured for ground attack. The F-22A entered service with the U.S. Air Force in 2003, with “initial operational capability” achieved in 2005. Including flight test aircraft, 195 F-22s were produced before the program prematurely ended in 2012. 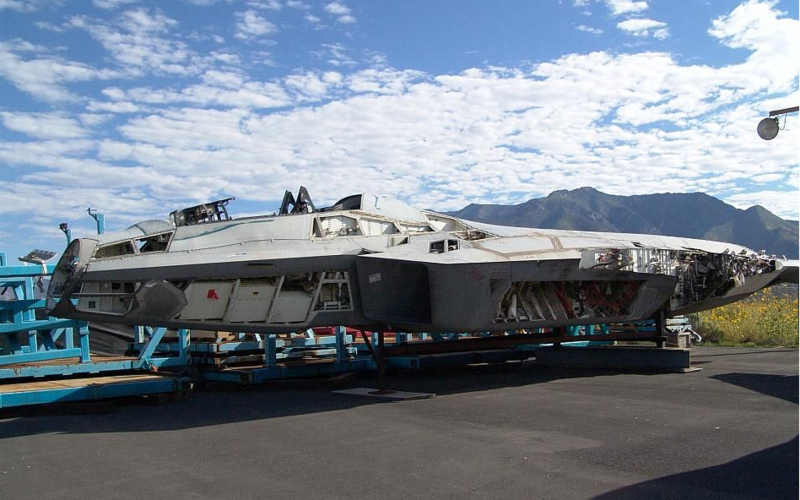 In 2000, 91-4001 was removed from flight status and used to test battle damage survivability. 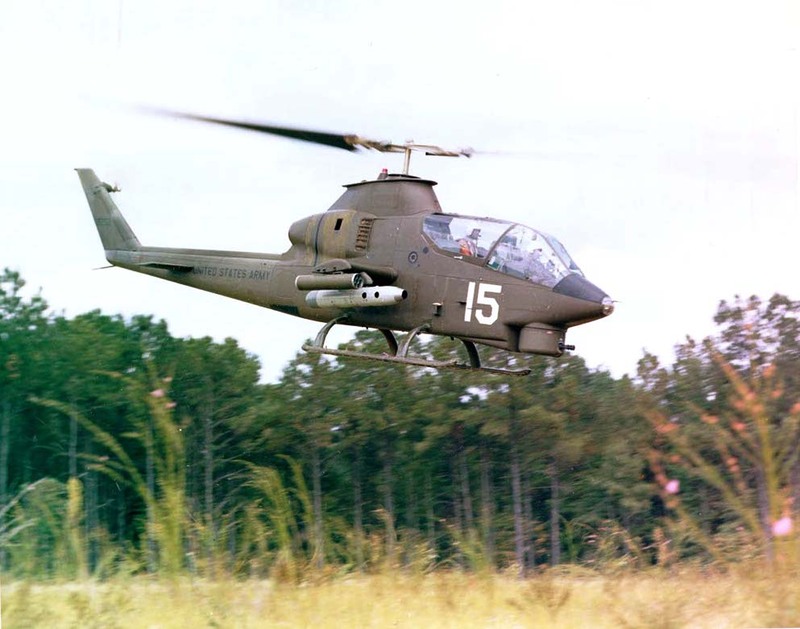 7 September 1965: First flight of the prototype Bell Model 209 attack helicopter. Test pilot William Thomas (“Bill”) Quinlan was in command. The duration of the flight was twelve minutes. The Model 209 was a private venture, built in just seven months and rolled out at Fort Worth, Texas, 2 September 1965. The prototype aircraft combined the drive system, rotors and tail boom of the production UH-1C gunship with a streamlined fuselage which placed the two pilots in tandem. 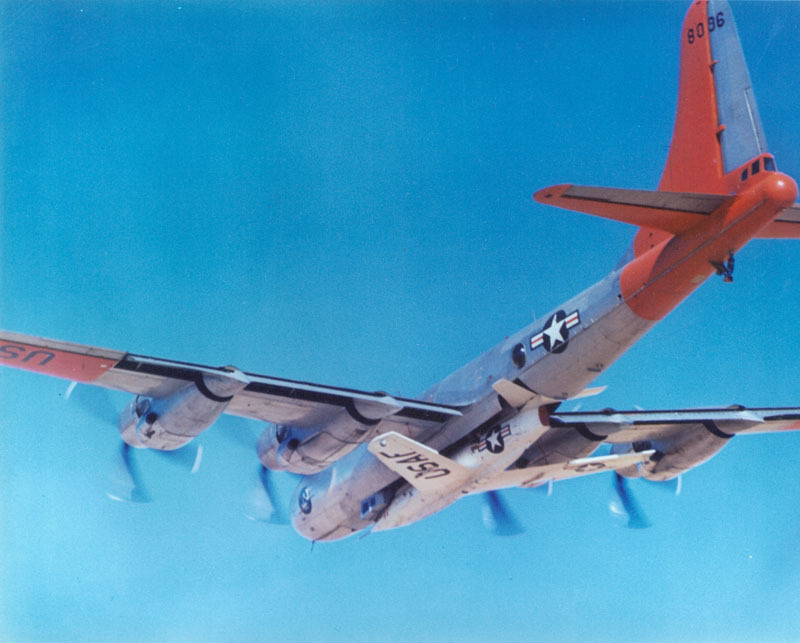 The prototype was equipped with retractable landing gear which gave the 209 increased speed, but the expense and complexity were enough that this feature was not included on production aircraft. This helicopter would be developed into the famous AH-1G Huey Cobra. 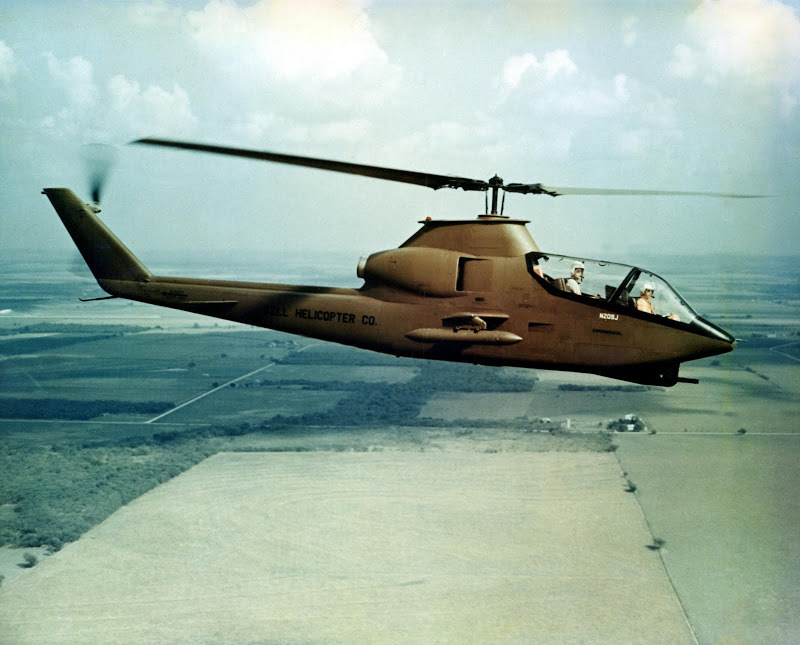 The second prototype, AH-1G 66-15246, was used by the Army for flight testing at Edwards Air Force Base, California, from 3 April to 21 April 1967. 66-15246 had an overall length of 52 feet, 11.65 inches (16.146 meters) with rotors turning. 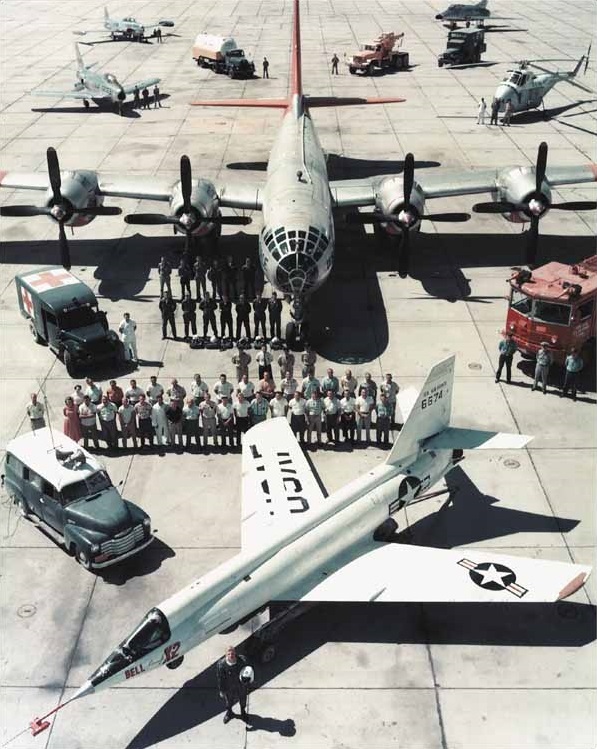 The fuselage was 44 feet, 5.20 inches (13.433 meters) long, and it was 3 feet, 0 inches (0.914 meters) wide. The HueyCobra had a short “stub wing” with a span of 10 feet, 11.60 inches (3.343 meters). Its angle of incidence was 14°. The wing’s area was 27.8 square feet (2.6 square meters). 66-15426 had an empty weight of 5,516 pounds (2,502 kilograms) and maximum gross weight of 9,500 pounds (4,309 kilograms). The two-bladed Model 540 “door-hinge” main rotor was 44 feet, 0 inches (13.411 meters) in diameter. 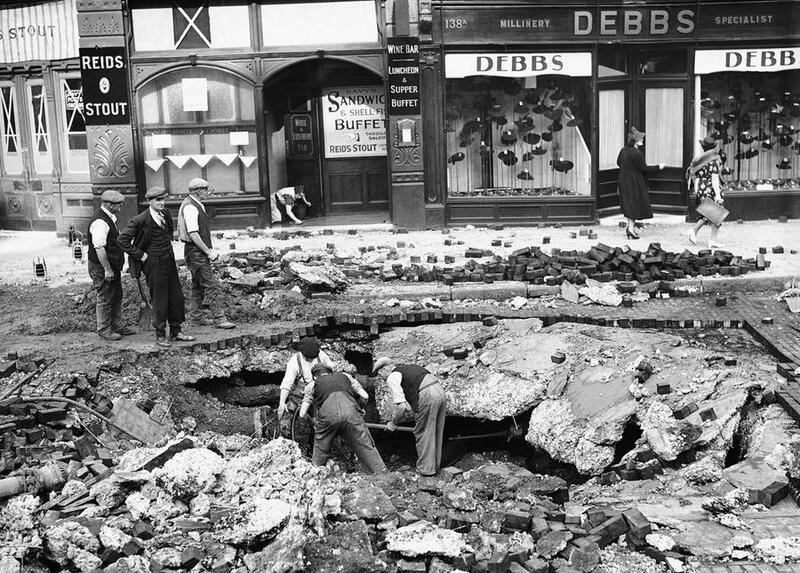 The blades had a chord of 2 feet, 3 inches (0.686 meters) and 10° negative twist. The main rotor turned counter-clockwise when viewed from above. (The advancing blade is on the helicopter’s right.) Normal rotor r.p.m. 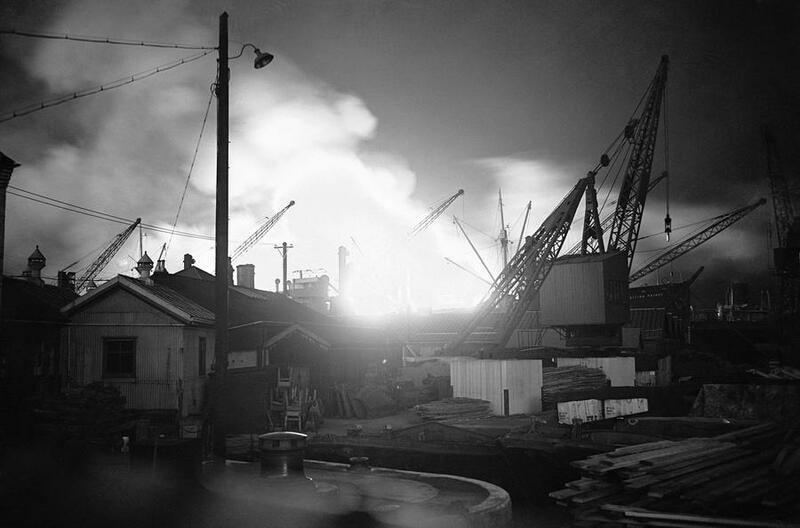 (power on) was 314–324 r.p.m., and power off, 304–339 r.p.m. The minimum transient rotor speed, power off, was 250 r.p.m. The two blade tail rotor assembly had a diameter of 8 feet, 6 inches (2.591 meters) with a chord of 8.41 inches (0.214 meters). There was no twist. It was mounted on the left side of the pylon in a pusher configuration and turned counter-clockwise as seen from the helicopter’s left. (The advancing blade is above the axis of rotation.) The tail rotor pylon was cambered to allow aerodynamic forces in forward flight to “unload” the tail rotor. The AH-1G was powered by a Lycoming LTC1K-4 (T53-L-13) turboshaft engine rated at 1,400 shaft horsepower, though it was derated to the helicopter’s transmission limit. The T53-L-13 is a two-shaft free turbine with a 6-stage compressor (5 axial-flow stages, 1 centrifugal-flow stage) and a 4-stage axial-flow turbine (2 high-pressure stages, 2 low-pressure power turbine stages). 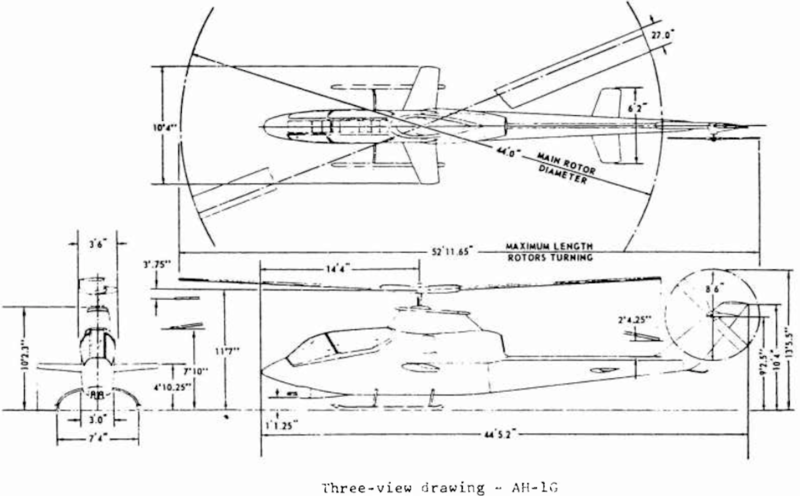 The T53-L-13 is 3 feet, 11.9 inches (1.217 meters) long, 1 foot, 11.0 inches (0.584 meters) in diameter and weighs 549 pounds (249 kilograms). The speed of the Cobra was effected by the armament configuration, whether “clean,” light or heavy scout, or “heavy hog.” At 5,000 feet (1,524 meters), the cruise speed in the clean configuration was 138.0 knots (158.8 miles per hour, 255.6 kilometers per hour); light scout, 134.0 knots (154.2 miles per hour, 248.2 kilometers per hour); and heavy hog, 127.0 knots (146.2 miles per hour, 235.2 kilometers per hour). The maximum airspeed in level flight was 149.0 knots (171.5 miles per hour, 276.0 kilometers per hour); 144.0 knots (165.7 miles per hour, 266.7 kilometers per hour); and 136.5 knots (157.1 miles per hour, 252.8 kilometers per hour), respectively. The limiting airspeed (VNE) was 190 knots (KCAS) (219 miles per hour, 352 kilometers per hour) below 3,000 feet (914 meters) density altitude. In autorotation, the airspeed for the minimum rate of descent was 74.0 knots (85.2 miles per hour, 137.1 kilometers per hour) with the main rotor turning 294 r.p.m., resulting in a rate of descent of 1,750 feet per minute (8.89 meters per second). 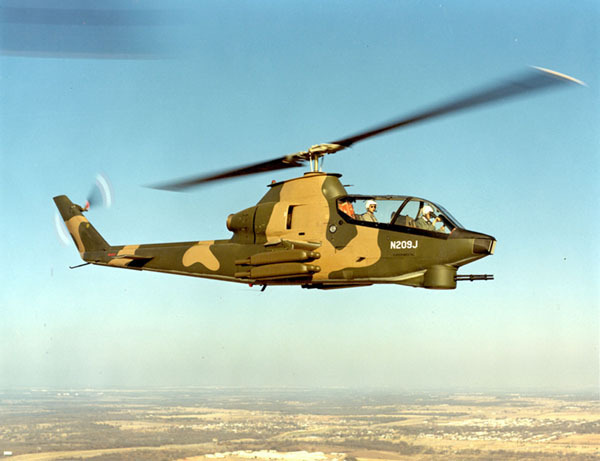 The basic armament for the AH-1G Cobra was an Emerson M28 turret which could be equipped with one or two General Electric M134 Miniguns, or a combination of a Minigun with a Philco Ford M129 automatic grenade launcher, or two grenade launchers. Each Minigun was supplied with 4,000 rounds of 7.62 NATO ammunition, while a grenade launcher had 300 rounds of 40 × 53 millimeter high-velocity explosive ammunition. 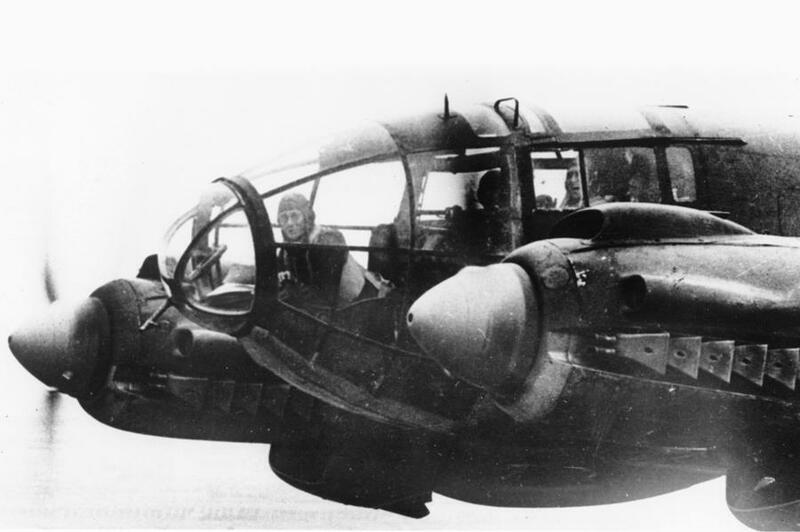 Four hardpoints on the stub wing could be loaded with M18 7.62 NATO Minigun pods; XM35 pods, containing a short-barreled General Electric XM195 20 millimeter Gatling gun (a variant of the M61 Vulcan); rocket pods with seven or nineteen 2.75-inch unguided rockets. 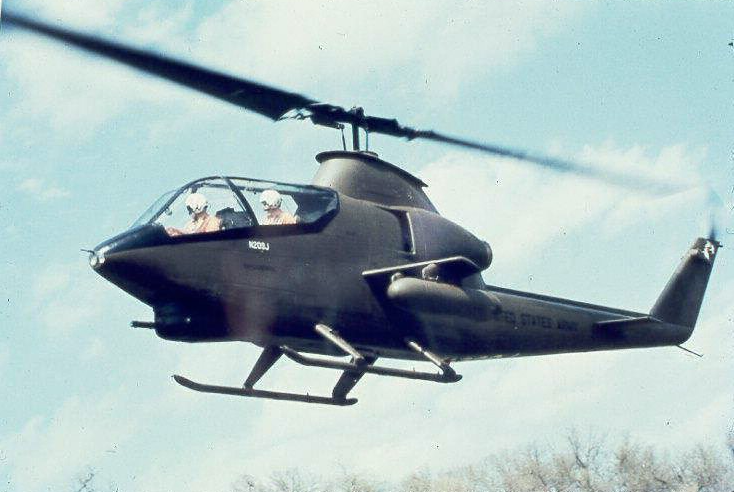 The prototype Cobra, Bell Model 209 N209J, is in the collection of the U.S. Army Aviation Museum, Fort Rucker, Alabama, as is the second prototype, 66-15246.